Simon Perrot Esquire was a substantial townsman of Sutton Coldfield, holding the post of Warden (equivalent to Mayor) in 1580 and 1590. 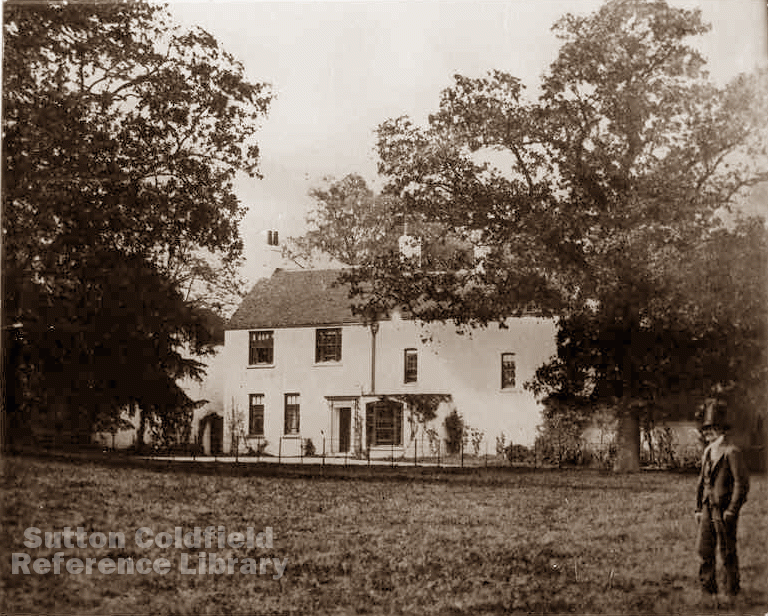 He had mansion house in Maney which probably stood in Manor Hill by the railway bridge - it was knocked down over 200 years ago. He owned some meadow ground in Sutton Park (until 1581 it was legal to take land in the park into private ownership), and in 1594 he built a watermill there for the manufacture of blades. He may have hoped that the mill would make him rich, but he fell on hard times, and died in poverty in Ireland in about 1598. By then the mill, miller’s house and meadow had changed hands twice, and it was sold on again in 1624. The property may have suffered in the freak storm of July 24th 1668, when so much rain fell in Sutton Park that the brooks became raging torrents and destroyed everything in their path. When Thomas Addyes of Maney purchased the property in 1678, it was described as meadow ground on which “heretofore hath been erected and standing a house and a mill called a blademill, now utterly destroyed and gone”. The Mill and the house were rebuilt. Water for the mill came along a leat on the south side of the valley, carrying the outflow from Keeper's Pool and water diverted from the E Brook. To improve the water supply part of the meadow was dammed to form a pool in 1740, the need for more power showing that the mill was flourishing. The mill race, taking the used water away from the mill, ran beneath the building to rejoin the E Brook. By 1850 the mill had closed down, and the new owner, Mr. Wiggan, set about turning the property into a gentleman’s residence, with ornamental walks along the stream. In 1898 the house was extended and refurbished so that it looked much as it does now. When you go to Park House today, you cross a bridge over the old mill race to the car park, the only reminder that, 200 years ago, the air was filled with the banging of the tilt hammers and the smoke from the furnaces as the knives, tools, and weapons were forged and ground. (Based on research by the late Ken Williams).